CTG's line of Null Modem serial cables allows two DTE or DCE devices to communicate with no conflict in data transmission. The transmit and receive signals are crossed to ensure proper data transmission. CTG's inexpensive, high-quality cables deliver the data for you quickly and reliably over short distances (less than 100 feet). 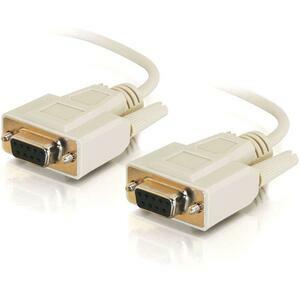 Each of Null Modem cables is designed with a rugged, overmolded construction that provides added strain relief and a solid connection each time. The cables are foil shielded for protection from EMI/RFI interference caused by surrounding office equipment and flourescent lights.